The engineers say the new technique is promising for cellular therapies, drug discovery, and studying rare diseases. 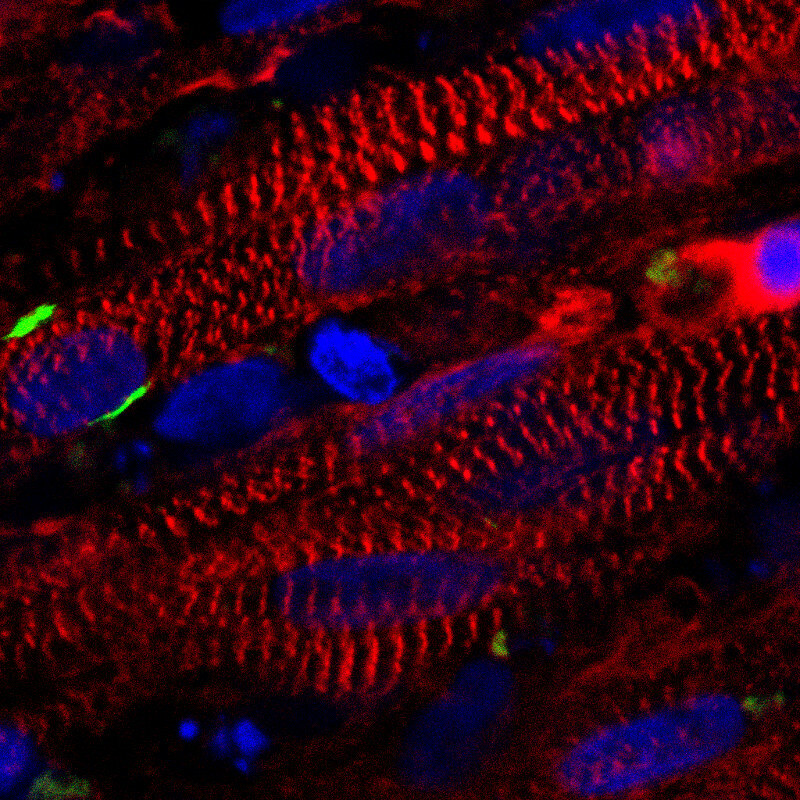 “When a child’s muscles are already withering away from something like Duchenne muscular dystrophy, it would not be ethical to take muscle samples from them and do further damage,” explained Nenad Bursac, professor of biomedical engineering at Duke University and senior author of an open-access paper on the research published Tuesday, January 9, in Nature Communications. 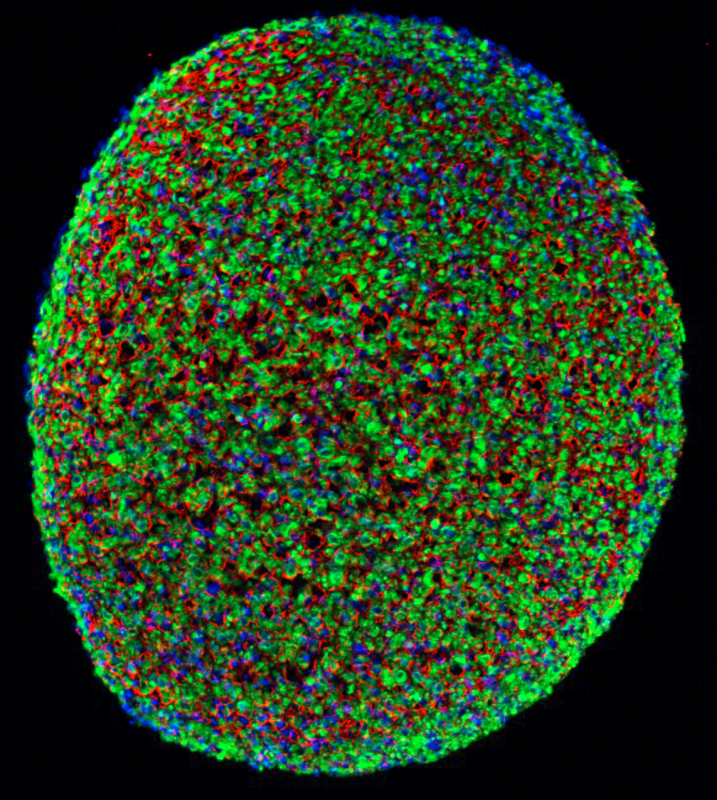 In the study, the researchers started with human induced pluripotent stem cells. These are cells taken from adult non-muscle tissues, such as skin or blood, and reprogrammed to revert to a primordial state. The pluripotent stem cells are then grown while being flooded with a molecule called Pax7 — which signals the cells to start becoming muscle. After two to four weeks of 3-D culture, the resulting muscle cells form muscle fibers that contract and react to external stimuli such as electrical pulses and biochemical signals — mimicking neuronal inputs just like native muscle tissue. The researchers also implanted the newly grown muscle fibers into adult mice. The muscles survived and functions for at least three weeks, while progressively integrating into the native tissue through vascularization (growing blood vessels). However, the pluripotent stem cell-derived muscle fibers develop reservoirs of “satellite-like cells” that are necessary for normal adult muscles to repair damage, while the muscle from the previous study had much fewer of these cells. The stem cell method is also capable of growing many more cells from a smaller starting batch than the previous biopsy method. “With this technique, we can just take a small sample of non-muscle tissue, like skin or blood, revert the obtained cells to a pluripotent state, and eventually grow an endless amount of functioning muscle fibers to test,” said Bursac. The researchers could also, in theory, fix genetic malfunctions in the induced pluripotent stem cells derived from a patient, he added. Then they could grow small patches of completely healthy muscle. This could not heal or replace an entire body’s worth of diseased muscle, but it could be used in tandem with more widely targeted genetic therapies or to heal more localized problems. The researchers are now refining their technique to grow more robust muscles and beginning work to develop new models of rare muscle diseases. This work was supported by the National Institutes of Health. Meanwhile, physicists at Cornell University are exploring ways to create muscles for future microscale robot exoskeletons — rapidly changing their shape upon sensing chemical or thermal changes in their environment. The new designs are compatible with semiconductor manufacturing, making them useful for future microscale robotics. Their work is outlined in a paper published Jan. 2 in Proceedings of the National Academy of Sciences. * The advance builds on work published in 2015, when the Duke engineers grew the first functioning human muscle tissue from cells obtained from muscle biopsies. In that research, Bursac and his team started with small samples of human cells obtained from muscle biopsies, called “myoblasts,” that had already progressed beyond the stem cell stage but hadn’t yet become mature muscle fibers. The engineers grew these myoblasts by many folds and then put them into a supportive 3-D scaffolding filled with a nourishing gel that allowed them to form aligned and functioning human muscle fibers. The generation of functional skeletal muscle tissues from human pluripotent stem cells (hPSCs) has not been reported. Here, we derive induced myogenic progenitor cells (iMPCs) via transient overexpression of Pax7 in paraxial mesoderm cells differentiated from hPSCs. In 2D culture, iMPCs readily differentiate into spontaneously contracting multinucleated myotubes and a pool of satellite-like cells endogenously expressing Pax7. 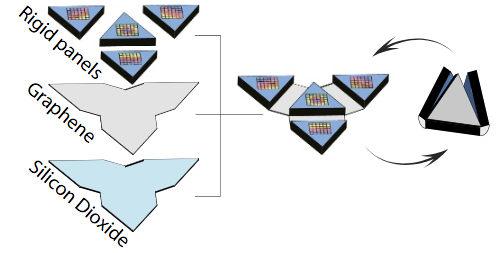 Under optimized 3D culture conditions, iMPCs derived from multiple hPSC lines reproducibly form functional skeletal muscle tissues (iSKM bundles) containing aligned multi-nucleated myotubes that exhibit positive force–frequency relationship and robust calcium transients in response to electrical or acetylcholine stimulation. During 1-month culture, the iSKM bundles undergo increased structural and molecular maturation, hypertrophy, and force generation. When implanted into dorsal window chamber or hindlimb muscle in immunocompromised mice, the iSKM bundles survive, progressively vascularize, and maintain functionality. iSKM bundles hold promise as a microphysiological platform for human muscle disease modeling and drug development.